Sickening news about German Chancellor Angela Merkel! 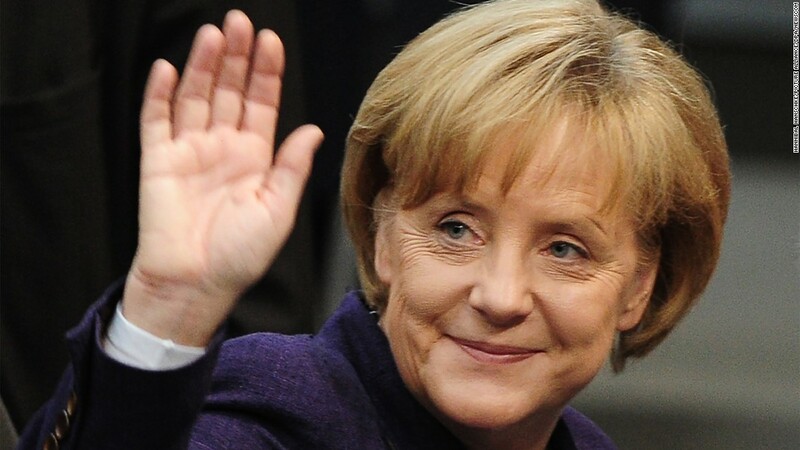 OPINION- The SPD, a low grade socially Liberal Party in Germany, has finally given in to the demands of Angela Merkel's CDU Party and has agreed to a grand coalition that will see Merkel in power as Chancellor for at least the next 5 years! This now means that the far-right AFD party will be in opposition to the coalition. Germany has been without a Government for the last 6 months! Angela Merkel has ruined Germany with her EU expansionist plans such as creating an EU Army and further integration between nation states. Her ludicrous decision to allow and continue to permit millions of undocumented male refugees to enter Germany has seen Terrorism, Acid Attacks, Rapes, No Go Zones and Gang Violence soar as a result. The UK needs to get out the EU as fast as possible lest we see ourselves dragged down even further by this elected Dictator and her plans to conquer Europe. Do you agree we need out NOW? Sign up by clicking here!